PEOPLE living in recovery from substance abuse are giving hope to others through a post-treatment support initiative, just named a winner in the WA Alcohol and Other Drugs Excellence Awards. 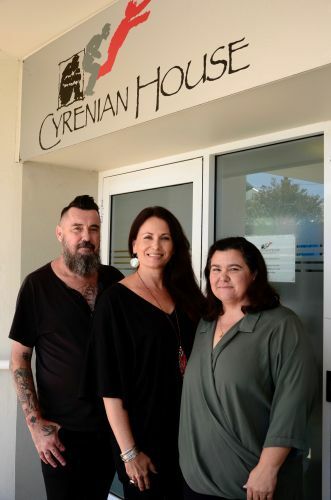 The peer recovery support group championed by Cyrenian House is believed to be the first program of its kind providing ongoing support after alcohol and drug rehabilitation. In addition to supporting people in recovery, the program is a potential pathway to further education and employment for peer support volunteers who guide others through their shared experience of “staying clean”. The Peer Support Plus (PSP) program was one of three finalists in the consumer participation: ongoing contribution category at the March 21 award presentations in Perth. PSP program co-ordinator Vanessa Stasiw launched the group in March last year after peer support volunteers completed a certified training course. “It is such an honour to have our work recognised. More importantly, it is such an honour to work with such amazing and courageous people,” she said. “The cornerstone of peer support is the lived experience, people are able to offer hope and optimism to others, it is so valuable to share with others – people do recover and that’s often not heard. Requests for more support options post-rehab resulted in consumer advisory groups at Cyrenian’s therapeutic communities help shape the peer support program from the outset. Ms Stasiw said evidence-based research showed long-term recovery was achievable. “We may be planting a seed for a few years’ time or supporting someone in reaching their goals and living their life fully in a holistic way; it’s very much about the individual,” she said. Feedback from participants indicated 88 per cent were “extremely satisfied” with the recovery support service. An average of eight people attends the peer-led meetings each week at Cyrenian House in Northbridge. Discussions cover recovery issues such as housing, education, self-care, budgeting and lifestyle balance and offer group social outings. The program is funded through the Department of Justice’s criminal property confiscation grants program for two years to June 2019 and other funding options are being sought to continue and expand the service. For more information, call 9328 9200 or email peersupporters@cyrenianhouse.com.